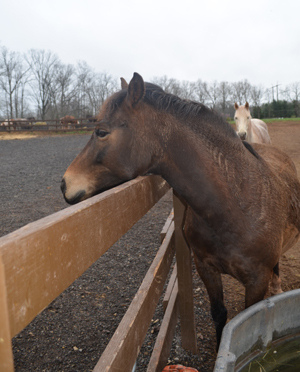 He is unable to trace the roots of his fascination with horses with any certainty, but Mike Marino, owner of Red Buffalo Ranch in Collegeville believes it goes back to his boyhood. "I grew up in Norristown on Swede Street, right down from the courthouse," he remembers. "It wasn&apos;t exactly horse country. But my father was a milkman for Nelson&apos;s Dairy, and my family tells me that as a four year old, I was fascinated with the horse he used for deliveries." From there, the passion grew. "In second grade, I saved and saved and saved for the money to go on a field trip to a local riding academy. I was a big fan of Roy Rogers and his horse, Trigger. Trigger was a Palomino, and there was a Palomino at this ranch - he was speckled - that I really wanted to ride." Marino&apos;s equestrian pursuits remained a passionate sideline, but his career put him in the public eye. For 12 years, he was the Montgomery County District Attorney, and for four years after that, he was County Commissioner. 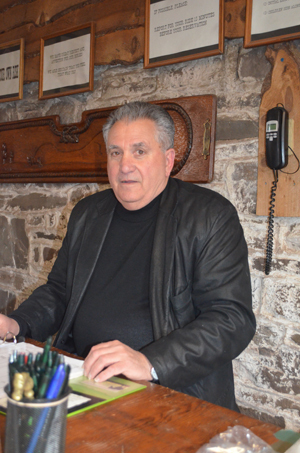 The courthouse that was a neighborhood fixture during his youth became his place of business. But green pastures always beckoned. When 11 acres of open land became available in 1972, he purchased the plot and built a home. Over the course of his 31 years in public office, he added land and acquired horses. "This was my place to get away from the pressures of law and government," Marino says. "I could come out here in the fresh air and quite and spend time riding." When he retired in 1998, Red Buffalo Ranch filled the void, giving him a purposeful way to fill the past 17 years. "People work because they have to. But you know how people say that if you enjoy something, you work because you want to? That&apos;s me here at the ranch." 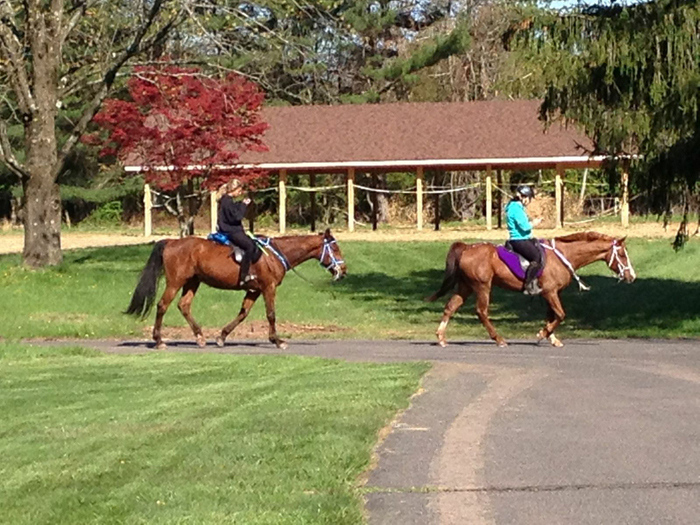 Marino oversees 30 horses and a steady stream of recreational riders. The property&apos;s proximity to Evansburg State Park make his excursions ideal. "The land was here," he says, "but it wasn&apos;t a state park at the time I bought my land. When it was officially dedicated all around me, I knew I didn&apos;t have to worry about it being developed. It would always be available for riding." Marino pays a yearly fee for permission to use the trail ways through the park, but he puts in a fair amount of sweat equity. "I keep these trails consistently clean and passable, all year round," he states. The helpful staff employed at the ranch are a loyal, energetic and youthful crew. Their affection for their employer - and his Arabians, Rocky Mountains and American Paints - is evident in their long-term commitment to working there. "I have kids who came here as four and five year olds for lessons. They&apos;re now late-teens and early-20s, working for me." A tour of the property reveals a barn that Marino dates to the late 1600s or early 1700s. He points out some of the modifications that have happened over the centuries - doors that have been widened, load-bearing beams that have been replaced. He points to a square enclosure, explaining, "This barn was originally a milking site for a dairy farm. The ceilings were low because cows don&apos;t have the same neck height as a horse does. When I modified it for stabling horses, I had to dig out the dirt floor - by hand - so that they would be able to stand up." Another barn - used for storing hay - bears the carvings of visitors from the past. Various initials have been carved into the walls, dates intact. "This guy must have been dyslexic," Marino chuckles, indicating a long-ago etching that reads "18PP" instead of "1899." Rides can be booked as either one- or two-hour adventures. Arrive early to ensure enough time for preparations and training. 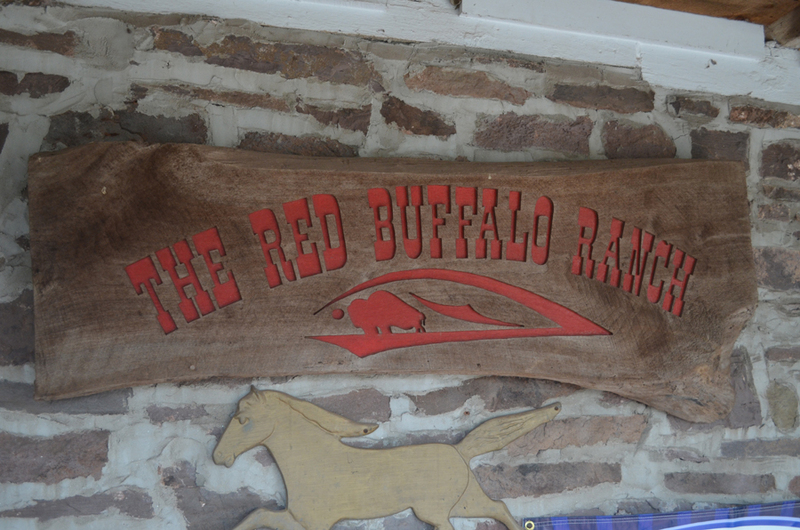 Red Buffalo Ranch does not take credit cards; cash or check only, please. If using a Groupon or Living Social voucher, please print it and bring the hard copy. Dress appropriately: No shorts, sandals or flip flops. Think carefully before wearing jeans; the seams may get uncomfortable on the trail. Sweatpants are generally best. Consider layering clothing to provide both warmth for early morning and flexibility if temperatures rise. You may want to bring a pair of soft leather gloves to protect your hands. A helmet is a must; the ranch has an ample supply and carries various sizes to ensure a proper fit. You will be required to sign a liability waiver before hitting the trail. Riders must be at least eight years old to ride in Evansburg State Park. Lessons are available to those as young as five. On the opposite end of the spectrum. Red Buffalo Ranch has accommodated equestrians in their 80s. Horseback riding is good exercise, requiring plenty of core stability to pilot your steed. After a hearty ride in the park - and all that fresh air and sunshine - consider a relaxing night in an area hotel, inn or B&B. Is our website skimpy on information about where to stay in Montgomery County? Nay!